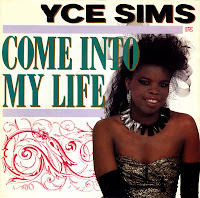 Joyce Sims was born on August 6, 1959 in Rochester, New York. Her debut album, 'Come into my life', was largely mixed and produced by Kurtis Mantronik of the hip hop/electro funk crew Mantronix. The title track was released as a single in early 1988 and became a number 7 hit in the UK and the Netherlands. It has become quite a wellknown soul/dance ballad since then.